The Philippines looks awfully like 1788 France, you have the monarchy (government) and clergy enjoying rights that no-one else has while the rest suffer from shortages, external threats and lack of safety. 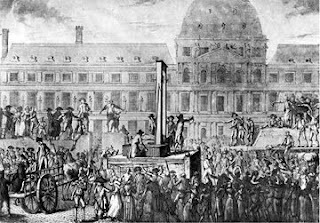 Something that was an issue in 1788 France. Now why am I bringing this up? It's because after awhile, the people had enough and the French Revolution happened. The aristocracy got the guillotine.